Tiny Tim here! 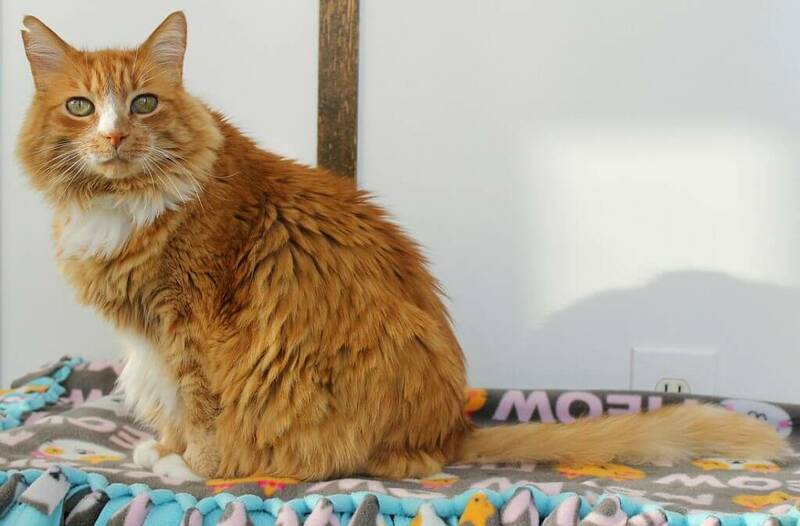 I am a gorgeous and very friendly 14-year-old male kitty who has three basic needs: food, friends, and family. Most people know big orange tabbies to be some of the nicest cats in the world, and I definitely fit that description to a T — a tiny T, that is! I’m currently residing in the Pixie cattery and am very peaceful around the other friendly kitties, though I don’t seem to need other feline friends. I do really enjoy human attention, though, and am very tolerant of being picked up and held by people big and small. I actually seem to really enjoy children — anyone who wants to show me some attention is alright with me! I’m pretty unphased by changes and I adjusted very quickly here at the shelter after losing my previous home. Although I am older, my exams and bloodwork have shown that I am in fabulous health and I do not have any special needs at this time. The nice folks here at Pixie will provide me with a dental which is included in my adoption fee, and other than that, all I need is a warm home and a comfy couch for the holidays. Do you have a orange-tabby-shapped hole in your life? Looking for a bed warmer for winter? Come down to Pixie to meet me today! I come to you fixed, vaccinated, and micro-chipped for an adoption fee of $80.